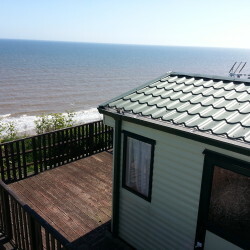 Welcome to Trimingham House Caravan Park, a friendly caravan park located just 5 miles east of Cromer in North Norfolk. 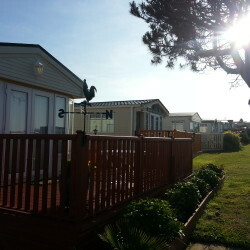 The park, spread over 23 acres with spectacular sea views and sandy beach access, consists of 180 static caravans and holiday homes. The caravans are mainly privately owned, but we also have a small hire fleet. All caravans have space for ample parking, with modern roads and lighting to the park creating a truly quality appearance. 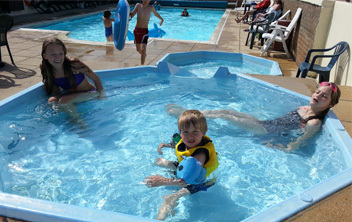 With all the Facilities On A Park That’s Friendly And Family Orientated, To Include Our Recently Refurbished Club House With Pool Tables And Games Arcade Room, New Outdoor Heated Pool, Toddlers Splash Pool With Slide All With Changing Facilities, Two Recreational Fields, A Cafe/Restaurant, Laundrette and Small Shop. Our Onsite Staff Offer 24 hour Security All Year Round For Peace Of Mind. We Also Offer A Tenting Field For The Month Of August For Any Campers Wishing To Stay. With Plenty Of Space For The Children To Play, Or For You To Relax, Trimingham House Caravan Park Offers A Truly Relaxing Experience. Using The Links Above, You Can View Further Information About Our Parks And Other Places Of Interest. For More Information And The Latest On Caravans For Sale, Please Feel Free To Contact Us.